Florida home buyers utilizing the USDA Rural Housing program should take note of new changes coming to the approved, eligible housing map. USDA loans offer qualified home buyers 100% mortgage opportunities in approved “rural” locations throughout the U.S. Periodically USDA will update the locations deemed “rural” and eligible for the program. Buyers in Florida (and nationwide) should read the information below and check the links to ensure their property is in fact still eligible. 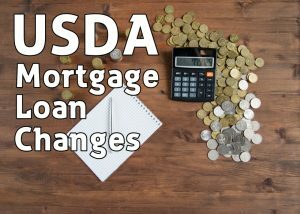 Buyers can read the list of common USDA Loan FAQ’s here and contact us with any questions. Please call the number above, or just submit the short Info Request Form on this page. USDA Rural Development has completed its 2017-2018 periodic review of all areas under its jurisdiction to identify areas that no longer qualify as rural for USDA Rural Housing mortgage. Based on the review of the areas within the state of Florida, using the 2015 American Community Survey data, and rural area guidance located in Handbook HB-1-3550, Chapter 5. The changes will become effective on June 4, 2018 and should remain the same through 2019. Areas that are no longer considered rural or “rural in character” and that will not be eligible for the USDA Rural Housing Programs can be viewed at https://eligibility.sc.egov.usda.gov/eligibility/welcomeAction.do by clicking “Single Family Housing Guaranteed”, and then selecting “Proposed Ineligible Areas” tab. Buyers can input their new property address to check eligibility using the link above. Just input the street number, street name, and zip code. Sometimes it helps to leave out the city name and state. See below for a short description of proposed changes by County in Florida. USDA Mortgage Source is a leading USDA loan resource serving home buyers nationwide, 7 days a week. Contact us today for assistance or questions.